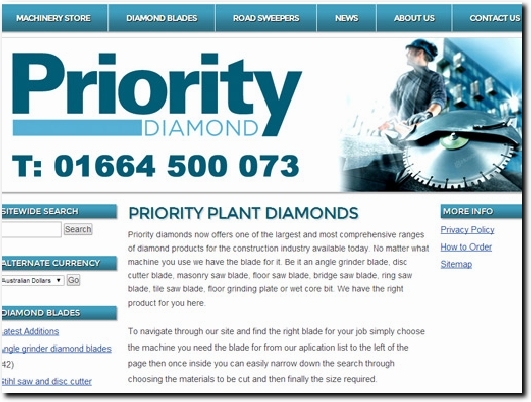 Priority diamonds now offers one of the largest and most comprehensive ranges of diamond products for the construction industry available today. No matter what machine you use we have the blade for it. UK (Melton Mowbray, Leicestershire) based business providing construction equipment for sale. Website includes e-commerce facilities, associations, delivery and returns information, terms and conditions, full company contact details. Company website has been online since 2008 according to web.archive.org.